When Flannery invited me to write a guest post for the excellent If You Like This You Might Like That feature, I immediately cast my mind about for a theme I could hitch my star to. But after rejecting any number of possibilities, I decided the randomer the better. So today you get a list of recs that not only reflect the eclecticness of my reading taste but give you a surprisingly accurate glimpse into my daily life and musings. It has been pointed out to me on more than one occasion that I have a questionable fondness for cousin love. Ahem. How weirded out are you now? It's not like I go seeking it out. But I have to admit my Beloved Bookshelf includes more than one volume in which cousins . . . get friendly. My issues aside, today I'm pushing Touch Not the Cat by one of my oldest favorite authors Mary Stewart. It's not just the cousin love you're getting here (hey, it was 1970s rural England--go with the egg, my friend). Oh, no. You're getting all kinds of bang for your buck, including but not limited to telepathic romance, crumbling English manors, and an abundance of literary references. I love Sherlock Holmes. I love him in pretty much any incarnation, although I'll go ahead and go on record as being awfully partial to the Benedict Cumberbatch rendition. If you find yourself similarly Sherlocked, I highly recommend Laurie R. King's Mary Russell series. King switches things up by setting the series after the illustrious detective has retired to the Sussex downs. In fact, her young protagonist literally falls over Mr. Holmes and finds herself apprenticing with him before long. Start with The Beekeeper's Apprentice and read on through till dawn. King is particularly good with titles. A Monstrous Regiment of Women and A Letter of Mary are personal faves. Is the election season getting to you, too? Whenever I find myself weary of the mudslinging and start questioning the sanity of any and all involved, I pop in a few episodes of The West Wing to feel better about the whole crazy rigmarole. I may or may not be on a two-episodes-a-night regimen at the moment. But if you love The West Wing like I do, then you will love the President's Daughter series by Ellen Emerson White. The original trilogy was written in the '80s and then updated a bit for the present day just in time for the publication of the fourth volume Long May She Reign in 2007. Smart, witty, and deeply affecting, protag Meg Powers is the daughter of the first female President of the United States. I adore her and I adore White's challenging, thoughtful prose. It's officially autumn now and I always start craving cinnamon rolls round about this time. 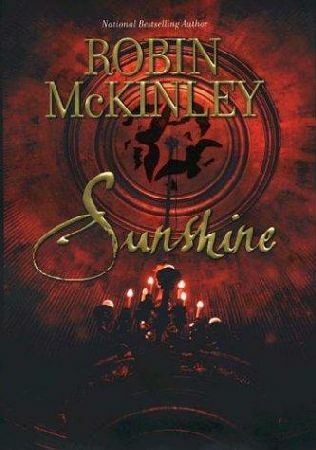 And when I crave cinnamon rolls, I immediately crave pulling out one of my three copies (I know) of Sunshine by Robin McKinley and cozying up. One of my few seasonal reads, I return to it every fall. Combining mouth-watering baked goods, a seriously introverted heroine, the most repellent vampires you ever will find, and Beauty and the Beast, it's just one of the biggest Angie books there is. Are you a cinnamon rolls/non-sparkly vampire fan? Perhaps it could be your book, too . . . Speaking of fairy tales, don't you just hate Rumpelstiltskin? That dude creeped me the hell out as a kid. And I was forever outraged on behalf of the poor girl whose father sold her off repeatedly to a king who cared about nothing more than gold and was willing to kill her as soon as look at her. Then she gets saddled with his majesty's baby and the crazy dwarf that just won't leave her alone. Honestly. What is there to love about this tale? But then Elizabeth C. Bunce went and rewrote the maddening thing because it bothered her, too. And wouldn't you know, A Curse Dark as Gold is bloody brilliant. One of my favorite movies (top ten for sure) is Casablanca. It's perfect as far as I'm concerned, and no matter how many times I watch it, I always tear up at the part where they stand up in Rick's Cafe and sing "La Marseillaise" in defiance. 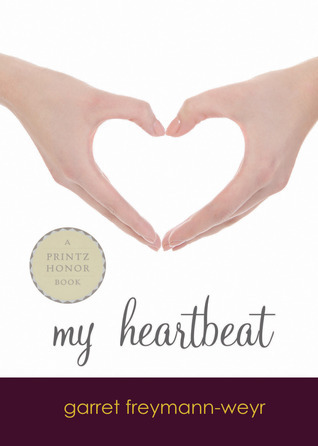 Imagine my delight when I ran across a tribute to that cinematic moment in a little-read book called My Heartbeat. At one point, the main character refers to her family watching Casablanca growing up and how her father always made them stand up and sing along at that point in the film. Somehow it remained a binding cord when everything else inside their family seemed to be falling apart. So. Inappropriate cousin feelings, mad dwarfs, political commentary, baked goods, and French anthems. I better stop there before I reveal any other embarrassing literary quirks. Thanks so much for having me, 'venturers! I do hope you find something that suits. Do any of these books sound like something you'd enjoy? I, for one, know I'll try more than one. Thanks for visiting, Angie! We loved having you and your wonderful recommendations here at The Readventurer. Also, I think we all learned one or two tidbits about your life. (insert evil, maniacal laugh) Let me know where I should mail a framed picture of Aaron Sorkin to! Hey, I'm a fan of cinnamon rolls too even though we don't have autumn over here (or in the Philippines either). So far the most delicious that I've tried is Cinnabon. :D If only we could try Sunshine's famous cinnamon buns. I think you'd like Mary and Sherlock, Chach. It's incredibly well-written and evolves in intricate and unexpected ways. Who wouldn't like cinnamon buns as big as your head? :P The Beekeeper's Apprentice has been added to the ever-expanding wishlist (a good chunk of which is based on your recommendations). LOL @ cousin love! Yes, I try not to spend too much time thinking about the possibly-too-close connections of certain couples. And second the President's Daughter rec - Angie's blog was how I discovered Ellen Emerson White and I've loved all her books to date. Right?! It's hard to delineate the line across which it bothers me too much to keep reading. But generally I think if the writing is strong enough and the plot compelling enough, I'm there. Your comments re: EEW are music to my ears, Li. I thought I was the only one who loved Touch Not the Cat! Only Mary Stewart could get away with so much passionate necking beneath a blossoming pear tree without making me laugh out loud. I read it when I was like 15 and I'm pretty sure I tried to use telepathy to contact my soulmate. It didn't work, sadly. 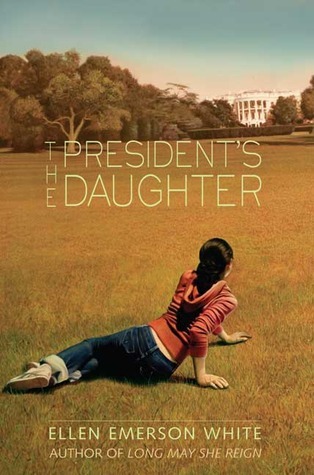 And I'll have to check out the President's Daughter series - it sounds great. Another TNtC lover! *highfive* Blossoming pear tree indeed . . . LOL. I heartily recommend the President's Daughter series. Each one gets better and the last one is quite frankly a work of art characterization-wise. Angie, you are the best. Really. Touch Not the Cat is one of hers I haven't read yet, but I do own a copy! I'll have to get to it soon. Laurie King's series has been on my radar for awhile, but no one has really ever pushed me to read them...until now. Sunshine and A Curse Dark as Gold are brilliant, I'm glad you think so too! It's a great paranormal and different from her others in that respect, but all the great romantic suspense she excels at is there in spades. I can't wait to hear what you think of the Laurie King books. I'm forever grateful to the bookfriends who pointed me in her direction. 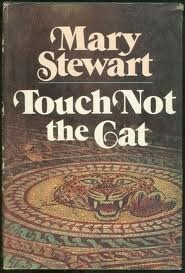 I read Touch Not the Cat (well, really, all of Mary Stewart's books) as a young, impressionable teenager in the 1970's. I can't say that I remember any of the plots, but I know I loved them at the time. As for The Beekeeper's Apprentice, that's our bookclub pick this month and I'm just about to start it. That's delightful, Jen. I blew through them as a teen as well. It's hard to stop once you discover the excellence within. What marvelous timing re: The Beekeeper's Apprentice. I hope you enjoy it! Did you really?! I'm all pins and needles to hear what you think. I have trouble being rational about THE ROAD HOME. It's just knit with my soul at this point. And if you enjoy it at all, you really must give the President's Daughter series a go after finishing. So smart. Please, please let me know what you think of the EEW books and SUNSHINE as well. I've been meaning to read a Mary Stewart for so long it's really quite ridiculous I haven't gotten around to it yet. Touch Not The Cat is definitely going on my list though, sounds fantastic. 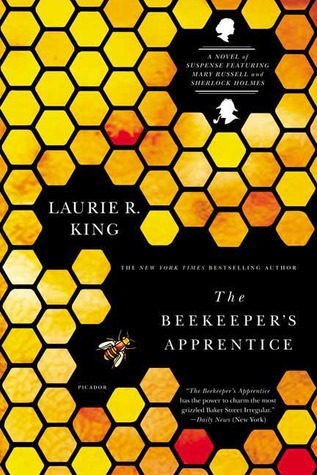 I so loved The Beekeeper's Apprentice I really need to purchase the next installments. Oh, it really is. I also recommend her NINE COACHES WAITING if you're in the mood for a gothic mystery. The second Mary Russell book is fantastic. Almost painfully good. Of course I just HAD to stop by when I saw Angie had a list of 'random' recommendations... Your picks are legendary girl. It is shameful to admit I've had THE BEEKEEPERS APPRENTICE & NINE COACHES WAITING on my shelf for a couple months now and haven't picked up either yet? I've never read either author before but I think I need to. I'm sure good things will follow. Also, EEW & Sunshine.... such love goes to those! I wouldn't go so far as to call it "shameful." But I might look at you askance. GO READ THEM. Those are both the perfect places to start! You will enjoy them one and all. I feel this to be true. Ooh. A blank slate for random recs! There are no words for how amazing HOW I LIVE NOW is. No words. Belated as ever, but of course I love this post. I love all of Angie's posts, and will read pretty much anything she recommends. I really REALLY need to read Sunshine. 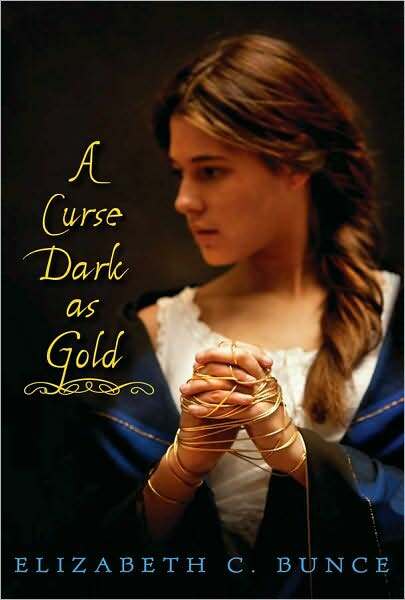 And A Curse Dark as Gold is one I'd never heard of, but sounds right up my alley. Thanks, Angie! You REALLY need to read Sunshine. It's just like the most perfect October/Halloween book EVER. Curse is just lovely from start to finish. Okay, I finished The Beekeeper's Apprentice and I loved it. I don't usually like mysteries at all and I don't think I've ever read more than one of the original Sherlock Holmes mysteries, but I have a feeling I'm going to be reading more of the Mary Russell series. There's just something about them, isn't there? It's the relationship between them that makes it for me. And the writing is top notch. So pleased you liked it, Jen!